Since HP has ceased the manufacture of the original battery door spare part, iPAQ Repair and Parts have developed a superior replacement battery door. As the failure rate of the original component was high. 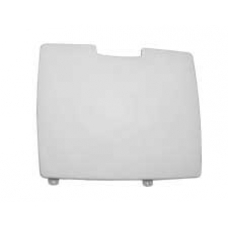 Our custom-made battery door cover is produced from a hard wearing impact resistant silver ABS plastic. Both the locking clips and the battery door closing sensor switch pin have been redesigned and strengthened. If you have lost or damaged yours this is the spare iPAQ part you need. * Stronger and Lighter than the Original HP Part. Yes they are currently, our stock status for items is displayed on each individual products page.